Colour Mixing Wheel | Makes mixing easy | Small 13cm Dia | Large 23.5cm Dia. 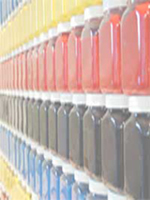 Colour mixing made easy with a simple to use colour wheel listing colour additions for red, blue, yellow, white & black. 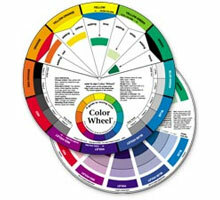 Colour wheels are tools that teach color relationships by organising colours in a circle so you can visualise how they relate to each other. There's 2 easy to view sides instantly showing you the 'illustrations of colour relationships', better known as mixed colour. Clean with dry lint free cloth - no water.